If you were to encounter a Guy Louis XVI original mannequin and tried to strike up a conversation unaware that the figure was not human, you would not be alone. 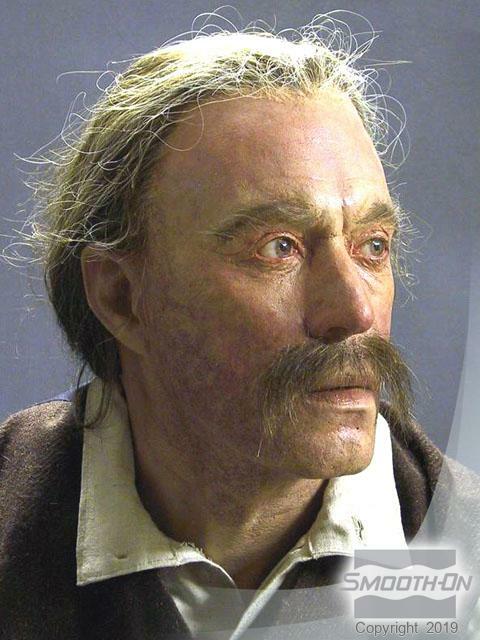 It is simply impossible to readily discern that Guy's figures are not alive. Even after tweaking the nose, touching the skin or looking deeply into the eyes. His creations are so unnervingly perfect that they will give you chills as you touch the soft silicone skin and silky hair or marvel at the delicate veins in the plastic eyes. In the arena of 3-D figure modeling, few can rival the work of Guy Louis XVI from Ottawa, Canada. The extreme realism of his creations gained him international notoriety. Guy was self-taught and developing his technique over a number of years took him a great deal of patience, being accomplished mostly through trial and error. Guy's quest for detailed perfection was reflected in each creation, and the state of his craft reached such heights that his mannequins were highly sought after by private collectors and museums from around the world including The Canadian National Museum, Canadian War Museum (which has more than 20 of Guy's mannequins), Civil War Museum in Fort Jackson, South Carolina and many more. In addition, Guy also created special effects pieces for movies and does prop assignments for corporations. 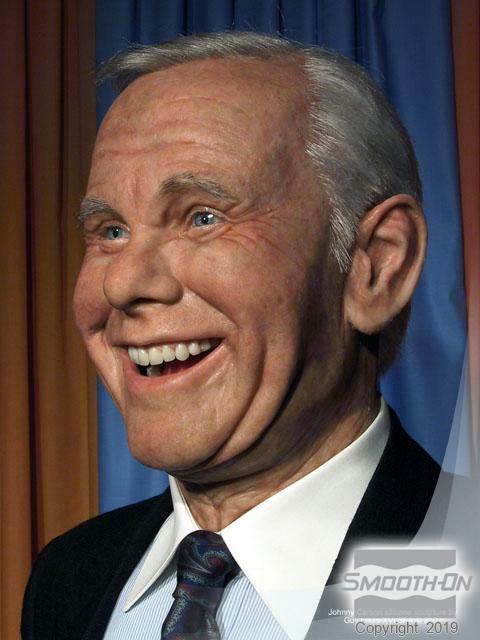 Full-size Johnny Carson figure for Johnny Carson Exhibit at Elk Horn Museum in Norfolk, Nebraska. 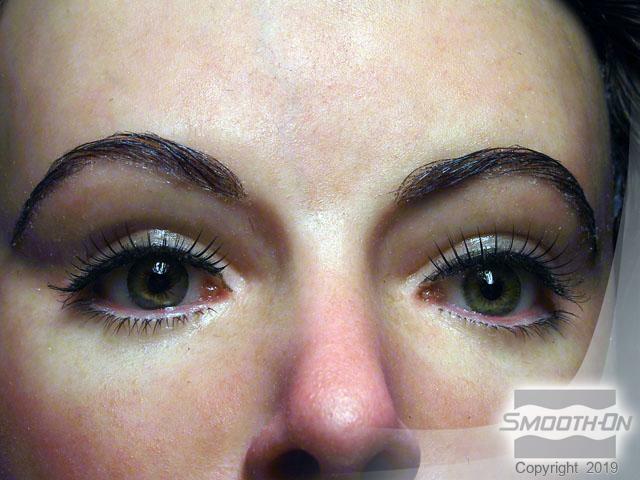 Skin is made of painted Dragon Skin® silicone rubber over a foundation of Flexfoam-iT® V. Eyes: Crystal Clear® 202 plastic. 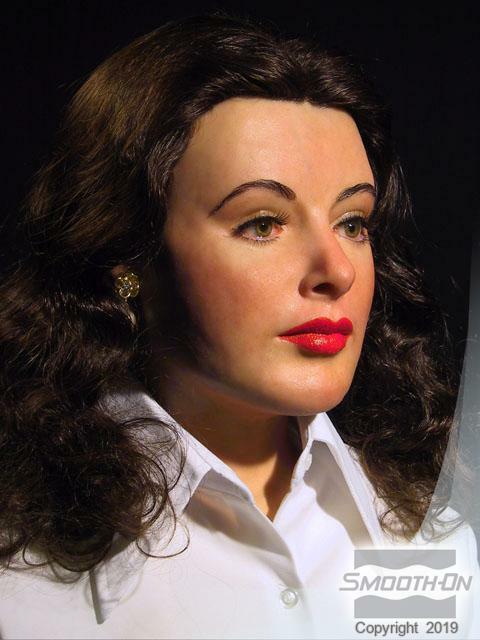 Hedy Lamarr model made of Dragon Skin® over a Flexfoam-iT!® V foundation. 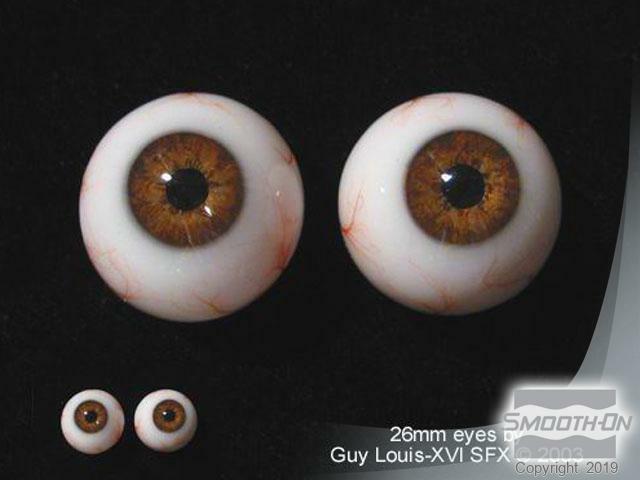 The hi-realism of the eyes Guy creates using Crystal Clear® resin is uncanny. Guy has developed his own process for making eyes from Crystal Clear® 202 that are so real, they are impossible to distinguish from real eyes. “The Oarsman” full-size figure on display at Founder’s Hall in Charlotte Town, Prince Edward Island is painted Matrix® NEO. Eyes are Crystal Clear 202. Hands are Smooth-Cast 327. 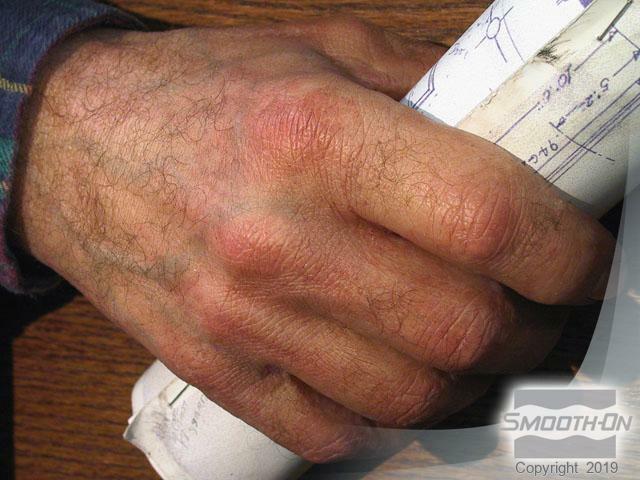 The realism of Guy's creations extend down to the most minute detail as evidenced by this Dragon Skin® silicone hand. 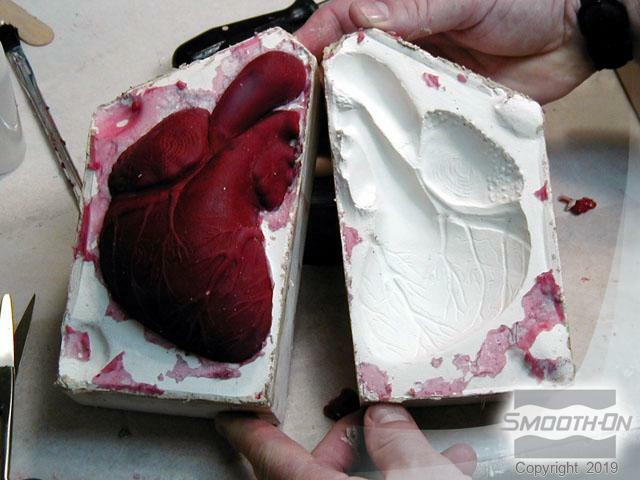 A Dragon Skin® silicone heart for a medical training aid. 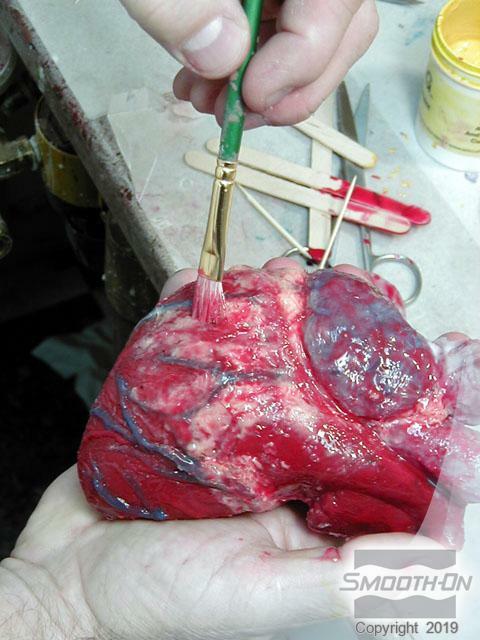 Guy's knowledge of color theory allows him to paint the most realistic colors using silicone-based paints. 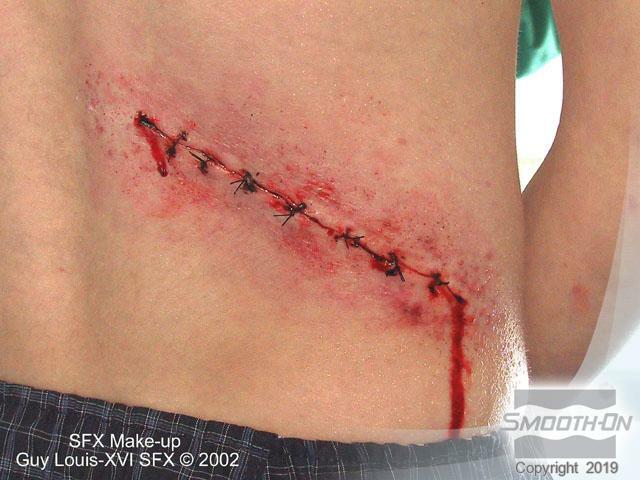 A Dragon Skin® skin silicone scar made for a film.